Linux notes from DarkDuck has closely followed the development of Zorin OS for a long time now. The first review was for Zorin OS 4, and since then it seems like I haven't missed any new release. I also interviewed Artyom Zorin, the leader of the distribution. Even though I don't do reviews en masse now, I felt I had to write a review of Zorin OS 9, which was released in July 2014, just few days ago. I downloaded the version Zorin OS 9 32-bit Core. It is about 1.3 GB in size, which means you either need a DVD or a USB stick with >1GB capacity to get this ISO working. Unfortunately, I wasn't able to get Live USB with this distribution. 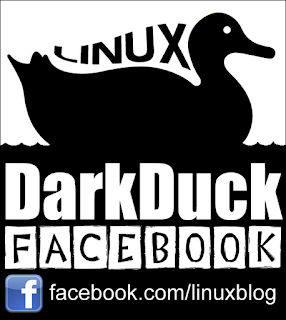 I tried different methods: dd command, Unetbootin, and even USB image writer from Linux Mint 17 toolkit. None of them created a workable Live USB stick. Then I reverted to a Live DVD option. So, DVD with Zorin OS 9 Core is in the DVD-ROM of my laptop Dell Vostro 1500. Reboot. Choose to boot from DVD. Let's go! Zorin OS 9 does not ask many questions while booting. The only one is a choice between the Try and Install options. This is a similar process and screen to what you can see in Ubuntu. Booting took average time, not quick, but not too long. Once booted, I landed on the default desktop with a blue-themed wallpaper. There is a panel at the bottom of the desktop, and a few icons in the top-left corner. Freshly booted Zorin OS 9 Core system took about 340 Mb of memory, which is quite a lot. If you don't like the default wallpaper, you can choose from a set of about a dozen - simply right-click on the desktop and select the necessary option from the drop-down menu. The panel at the bottom includes a menu button with Zorin logo, and a few shortcuts: Firefox, file manager and Rhythmbox player. 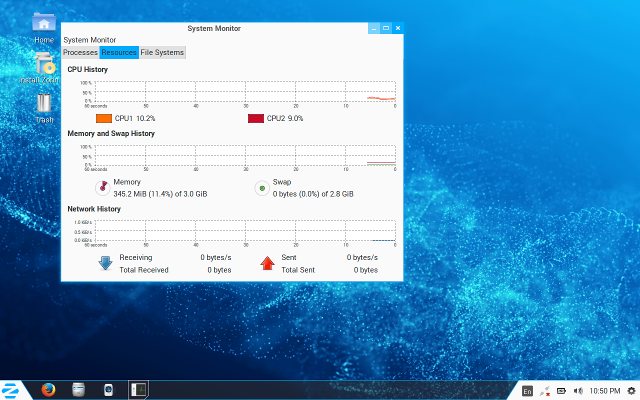 The right part of the panel includes the system notification area with icons for keyboard language indicator, network connection, battery status, volume, and clocks, and a cogwheel with other options. The style of the panel is the same as in Zorin OS 8. You can compare this via screenshots in my Zorin OS 8 Quick Screenshot Tour. My laptop Dell Vostro 1500 has a WiFi card Intel 3945ABG. It works well in all modern Linux distributions, so Zorin OS 9 was not an exception. Click on the network icon in the system panel, select my home network, enter the password, and I am connected in almost no time. You may have noticed already that I mentioned Firefox as an item on the system panel of Zorin OS 9. Yes, Zorin OS changed the default browser! Instead of Chrome, which was used in all previous versions, you now get Firefox 30 installed by default. Of course, you can install other browsers using the Zorin Web Browser Manager. Other than Firefox, Internet tools in Zorin OS include Empathy messenger, Thunderbird e-mail client, Desktop sharing tool and Remmina remote desktop access tool. Productivity tools of Zorin OS 9 Core include LibreOffce 4.2.4.2 package: Writer, Calc, Draw and Impress. Multimedia tools include Rhythmbox as I've mentioned above, plus Brasero disk burner, Cheese webcam, Openshot video editor, SoundRecorder and Video player. Graphics tools include SimpleScan editor, Image Viewer, GIMP and some other useful tools. Zorin OS 9 Core comes with some simple games like Mahjong, Sudoku or Mines. Of course, Zorin OS 9 comes ready for people who are migrating from Windows, so they may still prefer some Windows applications. Wine and PlayOnLinux are included in the default set of applications. Accessories include File manager, Backup Tool, Archive manager, Gedit text editor, Screenshot tool and some others. File manager in Zorin OS 9 includes a tool to connect to a network drive: click the cogwheel in the top-right corner, select the Connect to server option and enter the address as shown in the sample. That was enough for me to browse the network drive I have. Of course, there are no issues in Zorin OS 9 Core with multimedia playback. 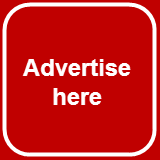 You can listen to MP3 or watch online videos right out of the box. Unfortunately, there was a little problem when playing music from a network drive connected using the method shown above. Simply put, music did not play. I suspect that the file manager wanted to copy the file to the local machine before playing it. The problem was solved using the mount command as shown in my guide. After that, I was able to play MP3 files from my remote disk. The default keyboard layout in Zorin OS 9 is English US. If you want to change it, you need to click the icon in the system tray and select the Text Entry Settings option. The configuration of the layouts is similar to Unity, which you can check in my dedicated article. 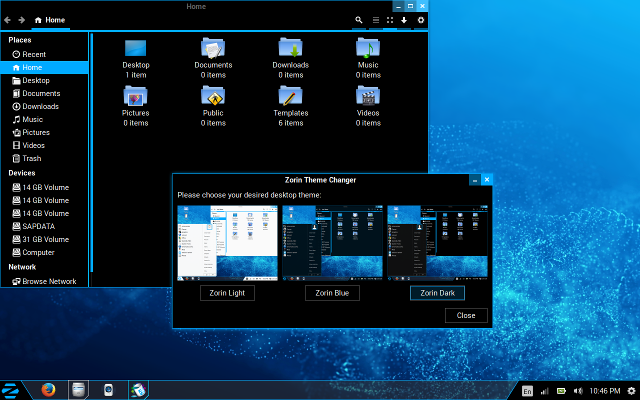 Zorin OS 9 Core comes with a tool called Zorin Theme Changer. It is the same tool used in the 8th version. However, this time it sports three themes: Light (default), Blue, and Dark. If the difference between Light and Dark is obvious, it is quite difficult to find a difference between Blue and Dark themes. They differ very little, literally in shades. Here are screenshots, so you can compare for yourself. Also, while changing the theme, the panel disappeared from the screen in my Live DVD run. I had to restart the computer to finish this review. Another design problem that I could spot in Zorin OS 9 Core is linked to the system panel. You may know that this "panel" is actually an Awn dock. Of course, you can configure this dock: right click on it and select Preferences. One of the configurations available for you is the style of the dock. You can change it to be Curved, or Edgy, or something else. Unfortunately, this change does not affect the notification area of the panel, which always remains square. It looks ugly in some cases. Do you plan to use Zorin OS 9 Core yourself? By the way, have you taken part in the Zorin OS 9 contest? My next review was going to be Zorin as well. I am glad I am not the only one struggling to get it to boot from a USB drive. I tried rufus in Windows and image writer in Linux mint to create a bootable usb for Zorin OS. Both programs worked like a charm. Zorin 64 bit ISO worked with me using Unetbootin. Is it a problem with the 32 bit version only? I concur; for me, the 64-bit version of OS Core 9 installed to flasfdrive via UNetbootin with NO problems. Maybe it IS a 32-bit problem. in unetbootin i can't find zorin type for installation.